Punk up your Pizza at Pizza Punks! It's time to join the pizza revolution! Pizza Punks is a pizza revolution! 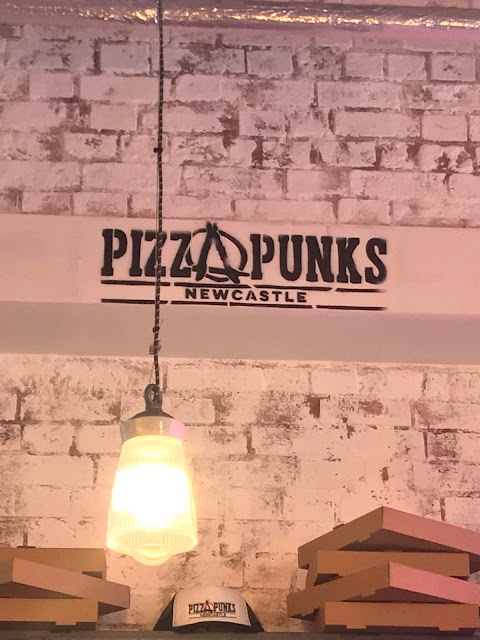 Newly opened on Grey Street, Newcastle, it's a place to order amazing and delicious pizza, made to order with as many toppings as you'd like but at a flat rate, there are no pizza-topping penalties at Pizza Punks; go with an appetite and get ready to punk up your pizza. 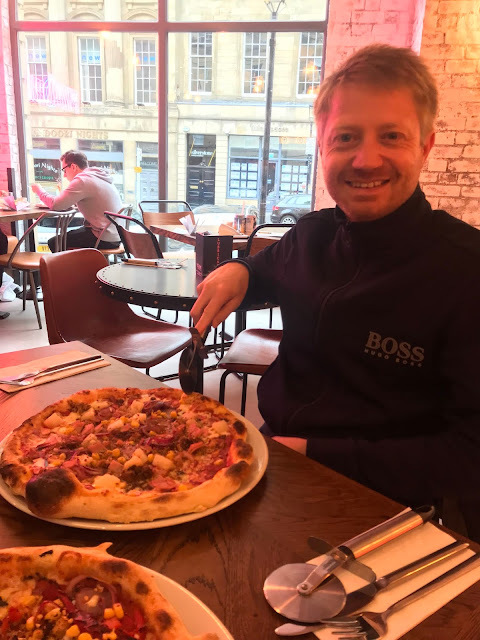 I visited Pizza Punks on a mid-Sunday afternoon, with a huge appetite after a long morning's run (my favourite time to eat pizza!). After previewing the menu online, I was really excited to punk up my pizza! The menu works in two ways; you can either order a standard pizza with toppings already chosen, or you can create your own from a gargantuan list of toppings (known as punking up your pizza!). 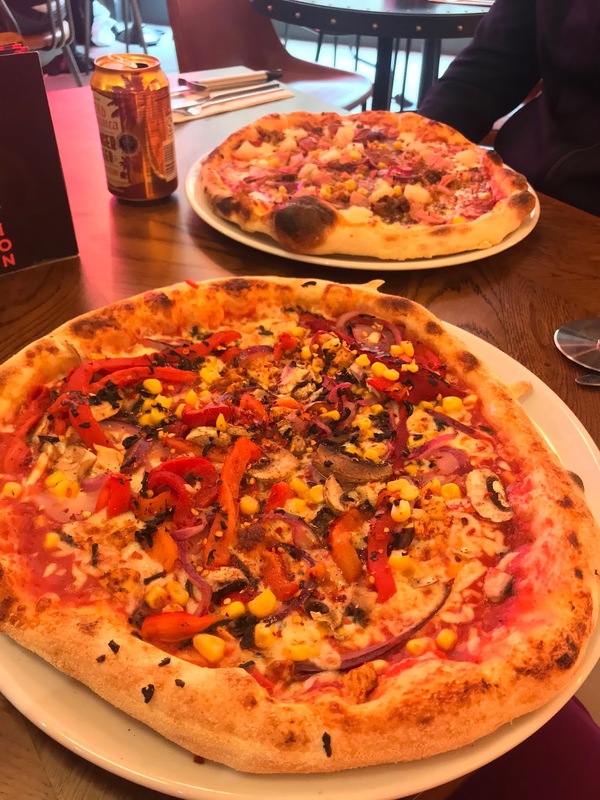 My Mister and I both decided to punk it up and the great thing about it, is that you can choose as many toppings as you want, but the pizza will always be £10 (remember no pizza-topped penalties here!). I'll tell you a bit about each pizza in turn, but first I want to talk about drinks. 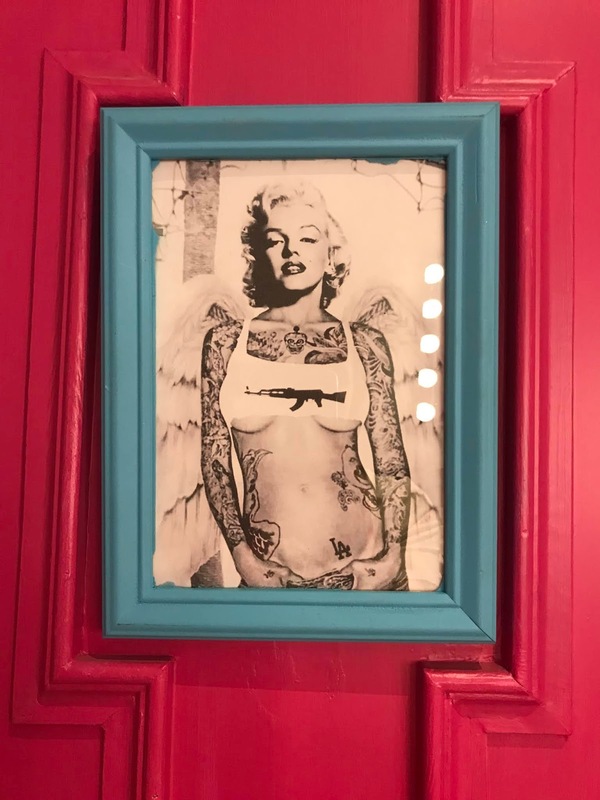 Pizza Punks has an amazing drinks menu covering cocktails to gins, and there's a healthy selection of soft drinks too. 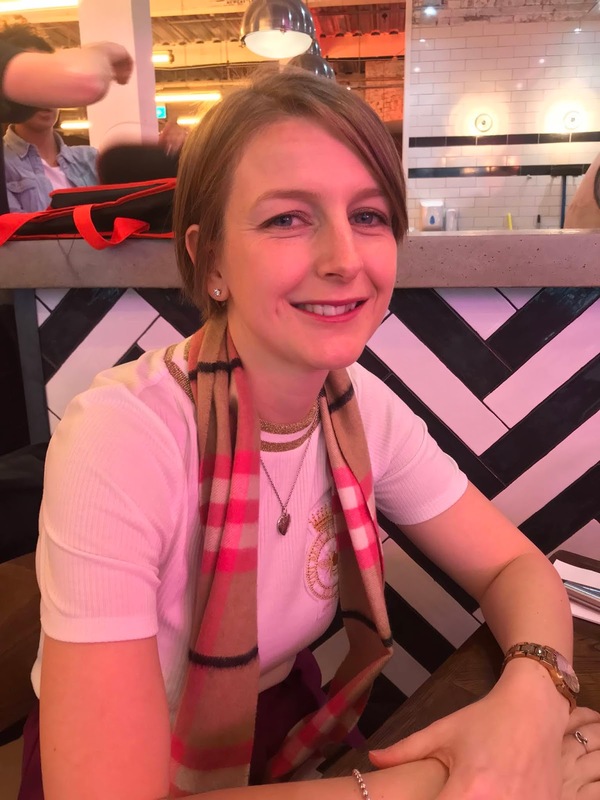 You can check out the extensive drinks menu here. As it was a Sunday afternoon and my Mister was driving, we decided to keep it soft with a Ginger beer for him and an amazing Cherry Pop Soda for me (they were so tasty I had two!). 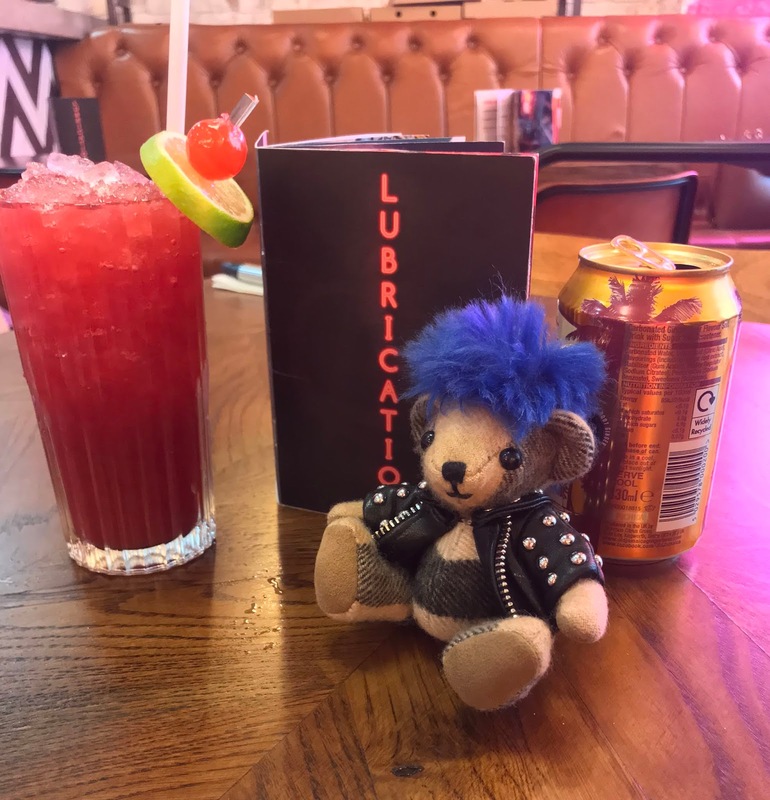 As it was a punk theme, I took Sid, my Burberry bear bag charm, along for the ride! 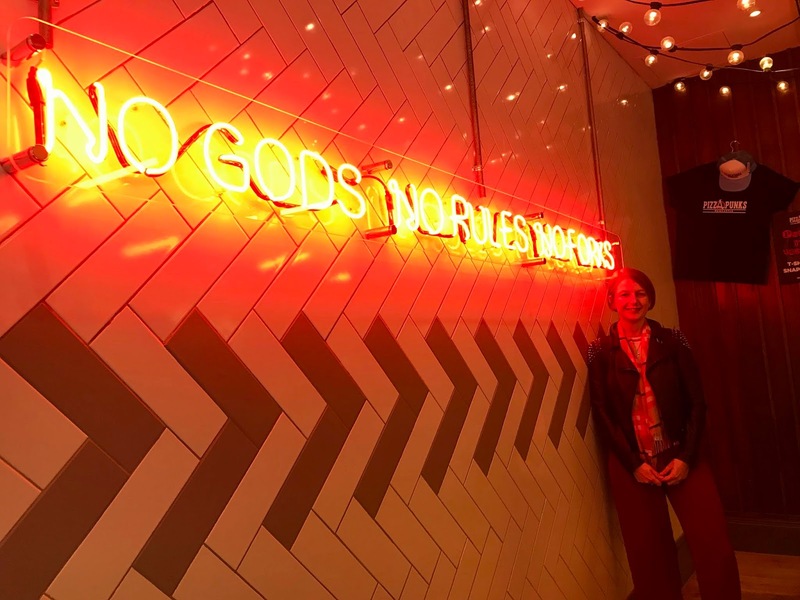 Okay, to the important part (I should probably also mention that every pizza is fresh and gets stone-baked in a pizza oven, for that quality artisan pizza taste). For my pizza, I chose a Sourdough base with a San Marzano tomato, basil and garlic sauce and mozzarella cheese. Then for the toppings I chose Fajita chicken, red onion, olives, mushrooms, sweetcorn, red peppers and finished off with a sprinkling of chilli flakes. 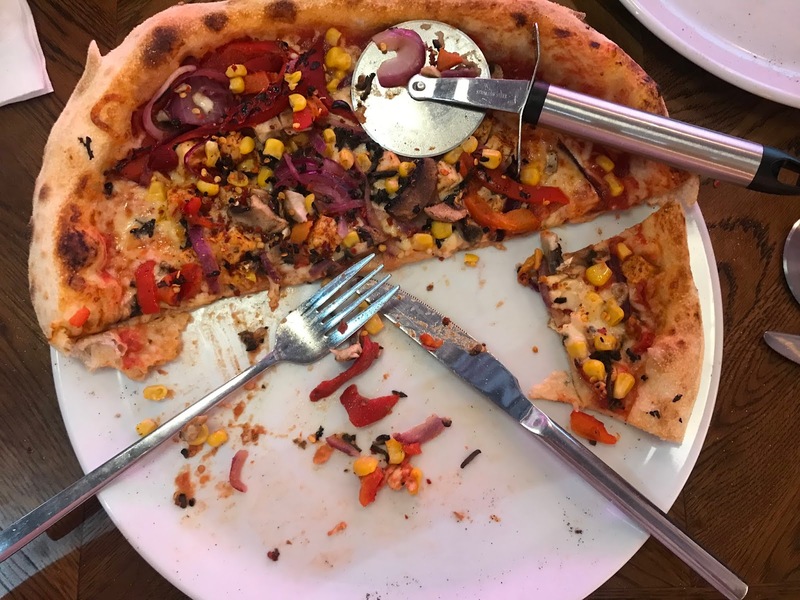 My Mister chose the same base, sauce and cheese, but he had ham, Tuscan sausage, beef meatballs, red onion, sweetcorn, pineapple and finished with oregano and chilli. We also got a chilli cheese garlic bread to share. The pizzas were absolutely delicious, as was the garlic bread. The sourdough base was cooked to perfection and I loved how the toppings were shredded and spread evenly, so there was an amazing, even taste with every bite. 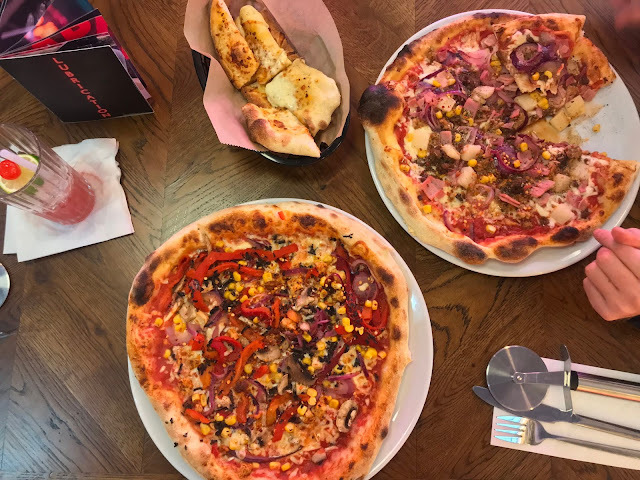 The garlic bread was probably the nicest I've ever tasted-although you get so much pizza that I think the ordering of sides is more practical for those that are sharing a pizza or for larger parties as we struggled to finish ours (it was super tasty though!). However, we did manage to polish off our pizzas (must've been all the running we did beforehand!!). 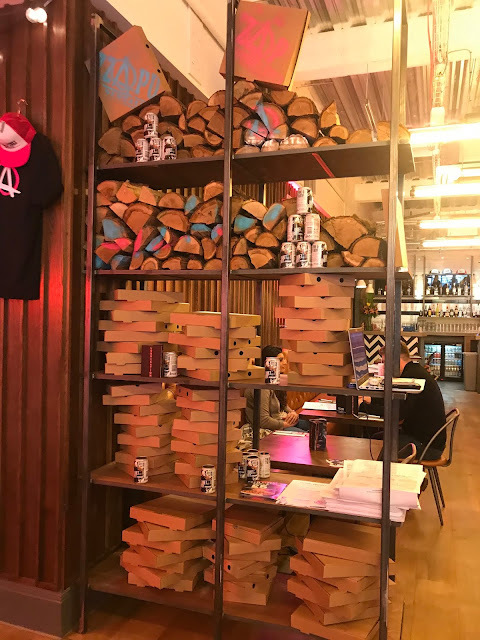 As well as the amazing food, I loved the whole Pizza Punks set up. Think graffiti walls and neon lighting, Pizza Punks is cool, fresh and modern and also offers the best soundtrack to your meal, playing bands such as Editors and the Killers as well as throwing in the odd eighties banger. 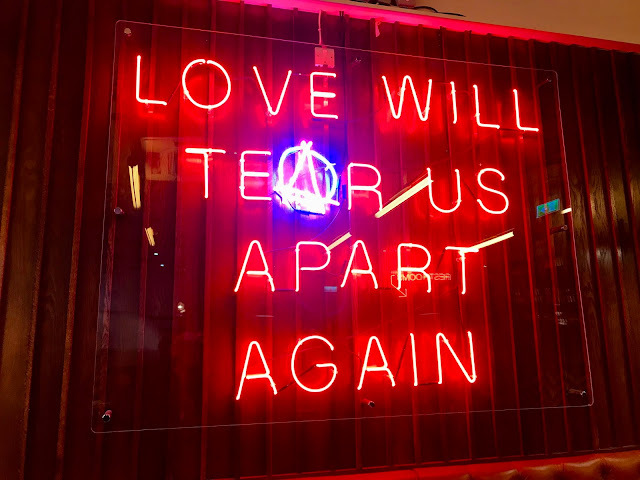 I love any place that plays a good indie anthem, so I was really happy with that! I also think a great place to eat is highlighted by the coolness and cleanliness of its restrooms, and I LOVED them! 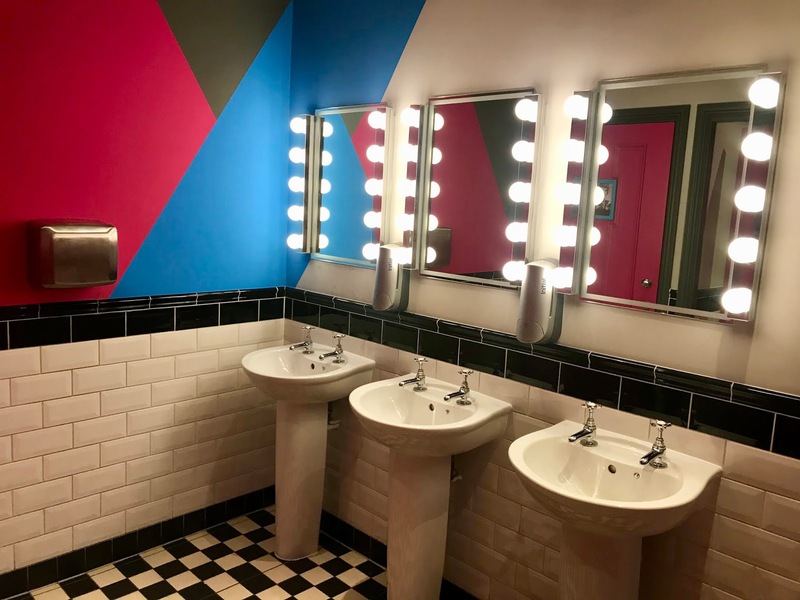 I felt like like a movie star when I stood at the amazing light-up mirrors and I loved the punked-up images of stars from the past hung on the toilet doors. Pizza Punks ticked all of the boxes for me and my Mister. 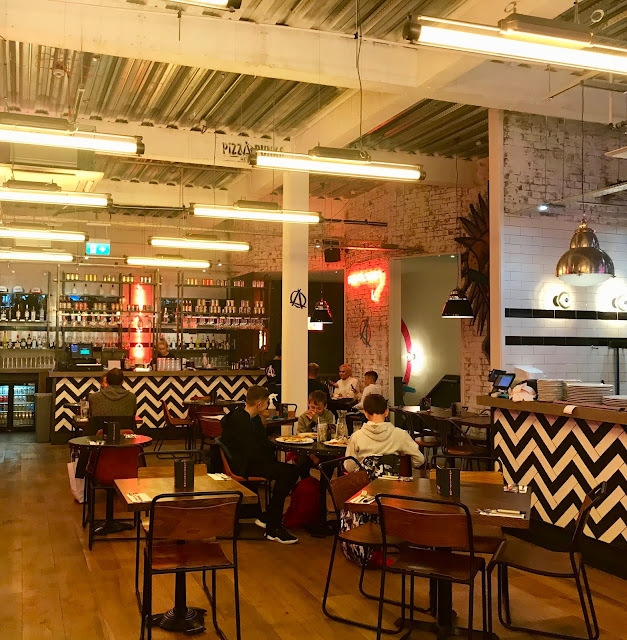 The food was delicious, with a wide range of toppings to suit both of our tastes, the interior was amazing, there was a chilled out atmosphere, great music and the staff were super helpful and friendly. You get a lot of food for a reasonable price and I'd definitely like to go back to try out the cocktail menu and a few more of their delicious sides. 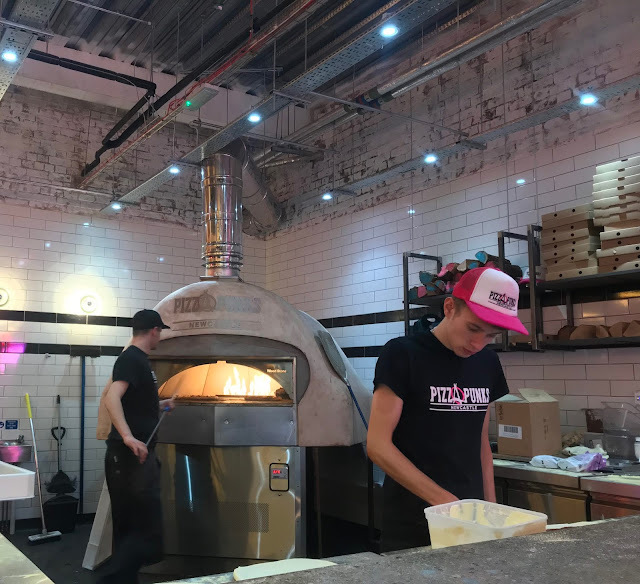 THE PIZZA REVOLUTION HAS BEGUN! 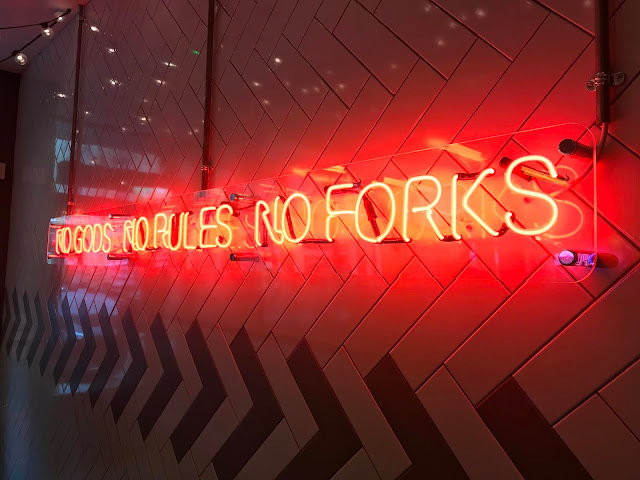 BOOK YOUR TABLE HERE! 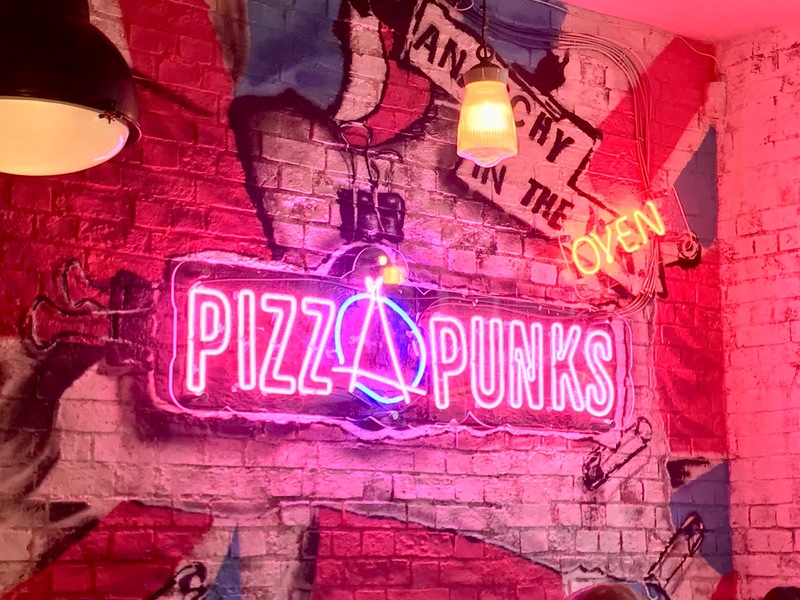 I was kindly invited along to review Pizza Punks so our meal was complimentary but all views and opinions are my own-I loved it! Thanks so much to the staff for having us and looking after us so well!